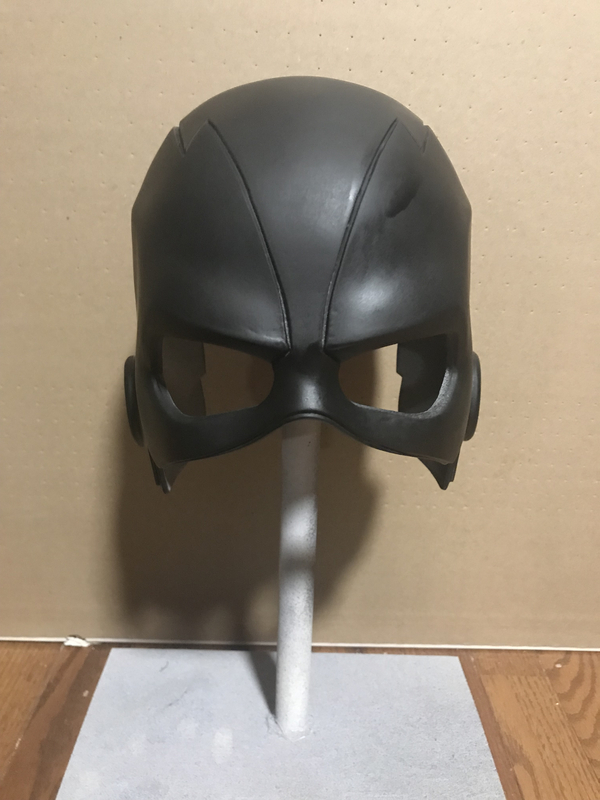 I 3D printed a mask and wanted to make flexible copies of it. What would be the best way of doing? Your best bet would be to mold it and cast up copies in a flexible material. There are a lot of options for either the mold style or casting materials, so it depends on preference/budget/skill level. The alternative would be to make a multi part mold and mold core so you could cast by injection, but the cost/complexity of that is a lot greater. Tanks for responding! I also have one more question about how to paint urethane? I didn't know if I should make a new one but i have multiple questions about foam latex. 1. can I use a normal house oven that isn't being used? 2. If it is a 3D printed mask how would i make the mold? 3. can you use the paint as a pigment or do you need a different type of pigment? It is not recommended to use a home oven for baking foam latex because of all the chemicals used. Don't want to contaminate your oven/food. I know of people who have done it, but I would advise against it. Mold making for 3D printed parts is basically the same as mold making for any other ridged source piece. That said, there is one technique I've seen that is unique to 3D printed pieces being molded. Typically when molding a ridged piece you want a flexible mold so it can de-molded prior to running castings. Since you will be casting flexible parts you can use a rigid mold (like stone, fiberglass, etc) but the challenge is removing your original part from the mold. The technique I've seen for this is to use a heat gun to melt/soften the 3D printed part and peel it out of the mold. If you are pigmenting a material like Urethane, Silicone, etc. you want to use a pigment that is designed for that, or is at least compatible. I'm not sure what paints might be compatible for tinting Urethane, since that's not something I've attempted yet. I just use the Smooth-On pigments. What kind of mesh should you use for making the foam latex mask? What do you mean by mesh? Like what you should line your mask with it make it stronger? If you are using a flexible material to cast it, you might not need any kind of internal reinforcement. If you plan on stretching it a lot (like a full head mask) you can use Nylon Power Mesh, but with a half mask like you have, you might not need anything.